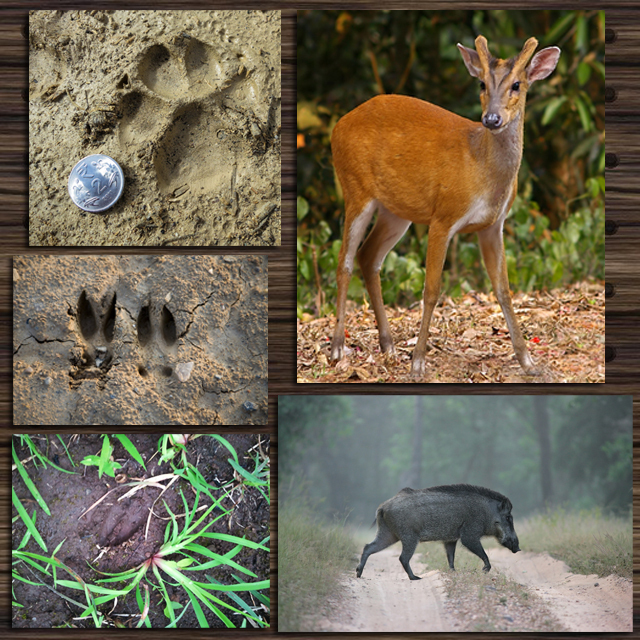 Animal footprint tracking work, the reading of animal tracks and signs, is a skill that must have been second nature to early man, but now it is almost entirely forgotten. And yet, for any person of any age who has any interest whatever in wildlife, tracking can become an absorbing pastime. Human footprints are, of course, immediately recognizable as such. But man is not the only creature to leave a trail of prints behind him in the soft ground. Although some of their signs, sounds and scents may be unfamiliar to many of us, all animals leave clues which, if we use our brains, enable us to identify the creatures that have been there before us and to deduce what they have been up to at that time. Many species of nocturnal animals are difficult to observe in the wild since most of their hunting is done under the cover of darkness. Even when we watch some of the animals that are active by day, their behavior is not always easy to grasp for much of it happens so quickly. However, in order to discover something about an animal’s hunting behavior we do not have to be present while it’s hunting. Tracking, whenever conditions are suitable, gives us the opportunity not only to recognize which species of animal made the tracks, but also to build up a picture of its activities. This picture will be just as clear, just as accurate, as it would be if we had been present and watched the animal in action. Indeed, sometimes it may be even more reliable, for the eye can play tricks. Almost everywhere in the hillsides, regular paths, grasslands, and lake and river shores there are stories to be read – only if we use our eyes to see and our intelligence to interpret what we see, will we be able to unfold the story.